Search engine optimization is built on hundreds of different variables, controls, and factors. From keyword optimization to image tags, there are hundreds of different parts of your website’s design, both on-page and off-page, that help the major search engines decide where it ranks. Thankfully, a lot of these factors are controllable, either directly through web coding or more indirectly through link manipulation and controlled link building. However, one factor that’s often passed over is the anchor text. An absolutely essential part of search engine optimization, the anchor test is simply the text that appears as part of any text link. For example, a link to Google could be branded ‘Google’, leading the URL to become associated with that search term. Another example would be a lengthy domain name, which is related to picture frames, being shortened to just ‘picture frames’ when seen as an on-page link. These anchor text terms are especially important for search engine marketers looking to increase their traffic through keyword optimization. While one part of on-page SEO is designing pages to return as results for specific keywords, another off-page aspect is incorpating the right keywords into your external links. Whenever a page is linked to / from another website, there’s anchor text that’s tied to it. By controlling (or at least attempting to control) this anchor text, you can create a keyword tie that’s permanently linking your domain address to a certain link term. Here’s a literal, and completely truthful, example of how this system can be used to your advantage. A couple of years ago, an online finance website (that shall remain nameless) set about designing an SEO strategy built on social bookmarking websites and social media link traffic. They were looking to advertise credit card affiliate programs on their website, which naturally lead them to using ‘credit card’ as part of their link anchor text. The company designed a fake news article describing a boy stealing a credit card, and buying a long list of inappropriate items with it. Of course, social media websites ate the story up, with amused readers providing thousands of links back to the original website. This is no unusual occurrence, or at least the last part isn’t. Social bookmarking services generate hundreds of links all the time. What made this example unusual is that it was entirely a hoax, and that the payoff wasn’t in direct sales, but in linking power. Every one of those text links had the term ‘credit card’ in the anchor text. What thousands of social bookmarking members had been part of was one of the biggest link building hoaxes of all time. The company rocketed through the search engines and started ranking way up near the top of the results, all for a very competitive keyword and all because of an innovative anchor text strategy. So next time you’re trying to optimize anchor text links, think outside the box. While there are great results in running the same course as everyone else, the real benefits kick in when you can look outside the system, see the benefits of running a non-conventional campaign, and mastering anchor text for social linking. Angela’s backlinks are a great start to any back-linking strategy. I have not thought about anchor text much since you told me about it the first time, but this reminds me and I will be more aweare of using this tool. .-= Gerlaine´s last blog ..The First Morning =-. It’s definately worth using (without spamming!). You can use via article marketing, blog carnivals. Both of those would be a great start. I think that anchor text is really very much important for SEO purpose. A dofollow link with anchor text is much more valuable than a simple link. The story you mentioned here is one great strategy for get thousand of link. .-= chandan´s last blog ..Update from google work at home affiliate network-December 11, 2009 =-. Anchor texts are one of the most important parts of seo link building and a hoax story that becomes really popular can bring you a lot of backlinks. .-= Press Release´s last blog ..Looking For Baltimore Jobs Search Local Jobs with Job Finder =-. It’s pretty strange that people ignore the importance of anchor texts, when it is the most important thing about SEO. Link building is pretty worthless if the anchor texts on the links are not any valuable keywords. .-= Blog Handbook´s last blog ..How to Speed Up Blog Load Time =-. I hope the reminder helps! .-= BloggerDaily´s last blog ..Honesty is The Best Blogging Policy =-. Using anchor text can really help (a lot). Takes a while (couple of weeks, sometimes) for Google to ‘kick in’ and recognise but it’s well worth it. .-= Dennis Edell´s last blog ..3 Days Left – MaxBlogPress Christmas Deal Expires =-. I know that the right anchor text can boost our selling if it can have great position in search engine, but i do not have any idea yet to get that strong anchor text. They will help you find relevant keywords. You also have to know if the keyword sells. There are keywords that have high search but no conversion. Microsoft AdCenter has a Commercial Intent tool to check if it’s a buying keyword or not. You are talking about picking the correct keywords. 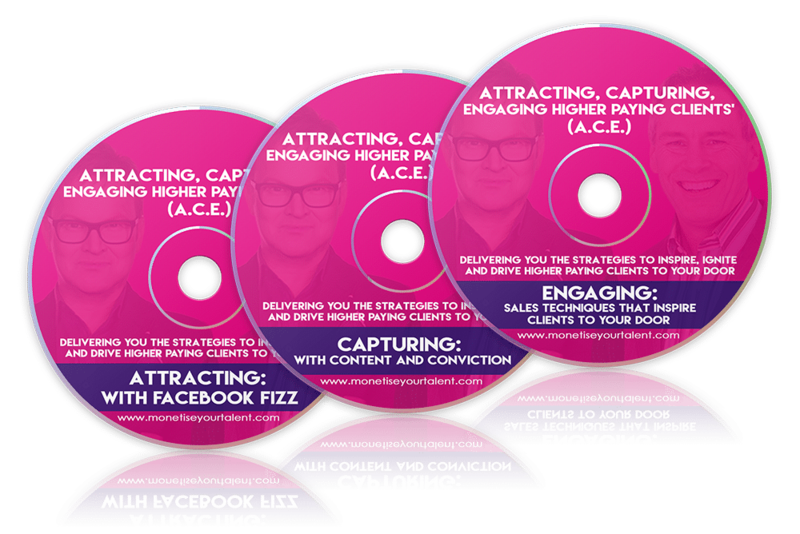 This post is about how to use the keywords as anchor text not how to pick them! Anchor text enhances the relevance of the targeted Page. All the search engine gives significant weight to the anchor text on your pages, so inclusion of important keywords in the anchor text can make a big difference in the final ranking of your site pages. So it’s important to make the most out of your link by choosing the right anchor text. Thanks for the post. The crucial step is picking the best / right keyword phrase to use. Get that wrong and all your efforts could be wasted. Anchor text is very important in links, it tells the human readers as well as the search engines what sort of information the link contains. So if you are planning to request an inbound link from another website, make sure the webmaster uses the anchor text that is appropriate to your website. Thank you for this story. I recently started using anchor text on my three sites for this very reason! Your articles are timely and interesting. Keep ’em coming! .-= Alison Shuman´s last blog ..Comment on FHA Appraisal Guidelines by FHA Appraisals- An Overview Austin Appraiser =-. How much difference are you seeing now you are using anchor text? Thanks Andrew for this very informative post. Honestly speaking, I didn’t know anything about anchor text before reading this article. It will help me a lot to increase my website traffic. I’m glad it has helped you. Well sure thing, anchor text is the key to the link building campaigns, but after the latest Google update, i feel it’s extremely crucial to mix it up and vary the anchors otherwise your website may be flagged as spam for receiving too many inlinks only with a specific set of keywords like make money online, making money online, how to make money online etc – do you see the point! I do see your point and I agree. Thanks Andrew for this awesome post. Honestly speaking, I didn’t know anything about anchor text before reading this great post. It will help me a lot to increase my website traffic. If anyone is interested in and want to power up their tennis game visit my site then. Thank you for this article! 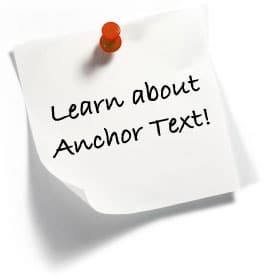 I didn’t know that anchor text can really help and is important part of seo link building! I didn’t know anchor text can do this much magic to a blog… thanks for this important information. I must say it’s a very informative and smartly written article. Thanks Andrew for posting your valuable info. I think there is still value of right way of using Anchor text even after so much updates from Google. It all depends on where it comes from, and how they are presented at that particular site. I think Anchor text are the most important part of link building. If we choose Anchor text(Long Tail keyword) with less competition then they can easily rank higher in search engine. I agree, if you have your chosen keywords as anchor text in a back-link to your website, the search engines will recognize this and push you higher in the search results. Make sure to vary your back-link anchor text about half of the time, to make this look more natural to the search engines or you may be penalised for it, especially if you create a large number of links. That’s good advice about varying your back-link anchor text. One tip I notice from reading this article is how you make your anchor text Bold. This makes it stand out more, so I’m going to do that myself from now on. Of course you could make the anchor text red but apparently that is counter productive because everyone accepts that links are/should be blue. Some SEO guru was saying this. Do you have any views, or even better, experience? My theme (WeaverII) allows me to have a ‘mouse roll over to red'(or any color I choose) option for my links, so that’s a bet each way. I haven’t researched if this makes any difference for click rates. 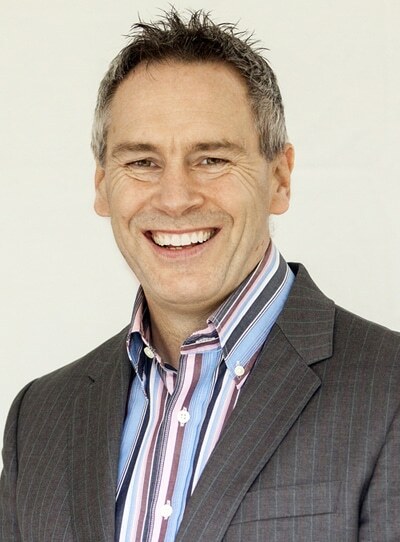 Great content and information too – thanks. 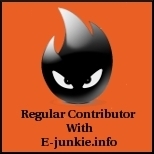 carolm recently posted..Cool New Way To Get Backlinks! I would stick with blue for links. Perhaps a different ahde of blue for hover? I came here again to tell you that i followed your tips about how to smartly use anchor text for keyword seo and i am getting good results. Thanks, Jessie form coming back and updating us. Great news! Thanks for all the tips, will use them for my blogs and websites. One question though, when posting on a blog, do you put your main site page? or do you mix it up with different pages from your site? Mix it up and also mix up the anchor text.